The last thing that you want to worry about is a problem with your foundation. That’s why, if you find a crack, chances are, you’re eager to find a solution. Of course, different types of cracks call for different foundation repair solutions. Bowing or structural cracks often call for carbon fiber repair. You may be wondering what that means and whether it’s your best option. Because we want to help you make the best choice for your home, we’ll walk you through what carbon fiber repair is all about so that you can make an educated decision that’s right for you. Carbon fiber repair is one of the newest and most efficient ways to address structural foundation cracks. 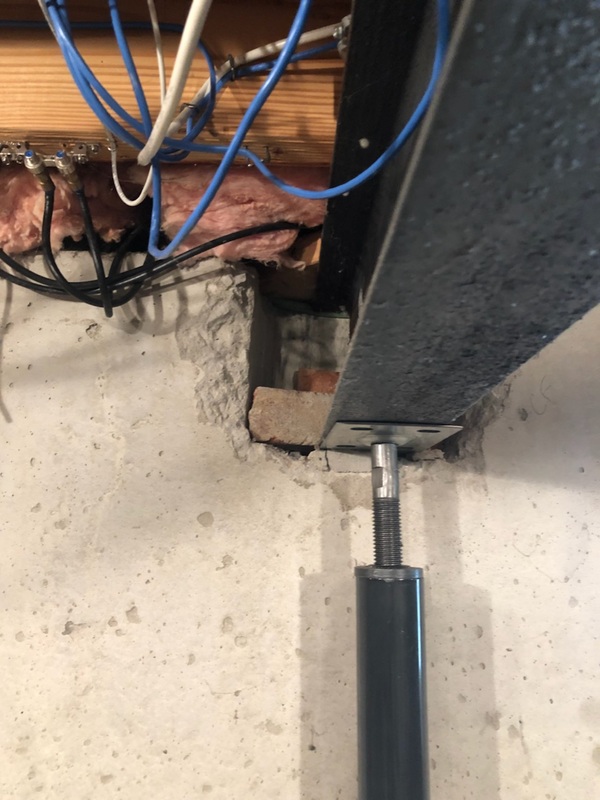 Previously, the only way to fix bowing or structural cracks in a basement wall was to install a steel I-beam, anchoring it to the wall to hold it in place. While this worked, it was both an eyesore as well as a functional concern since it took up quite a bit of space. 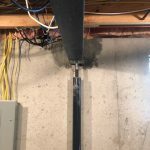 Install an I-beam could easily get in the way of finishing a basement. While this method is still occasionally used, companies that have stayed on top of the latest technology have adapted to the times and begun using carbon fiber for structural repairs. There are many benefits to carbon fiber, which is a high-strength strand that is woven into an unbreakable fabric that does not stretch. It is made of crystalline carbon filaments that form a material five times stronger than steel! We think of it as a “miracle material” because of its numerous benefits. Carbon fiber is so strong and lightweight that it’s been used in the construction of automobiles, bicycles, airplanes, medical equipment, and even the space shuttle. 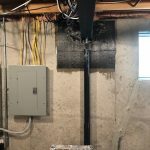 If it’s effective enough for those elements, you can feel confident it will be effective enough for your foundation repair. How Does Carbon Fiber Repair Work? When you have a bowing wall, it will first need to be pushed back into place. 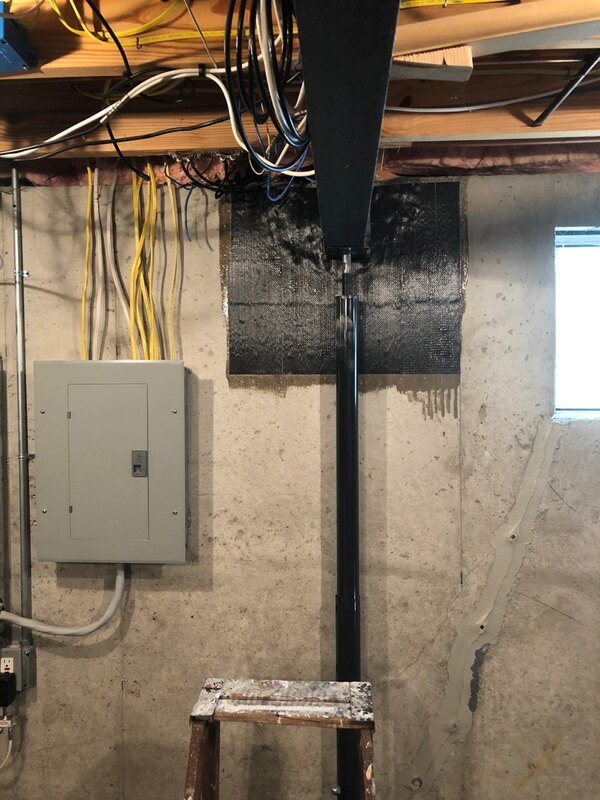 Then, carbon fiber will be epoxied to the damaged wall in strips that do not take up excess room in your basement but that will be strong enough to hold the wall in place. If your wall is painted, then the paint needs to be removed prior to epoxying the carbon fiber to the wall. The way in which this is performed is critical. While some companies might get in there with an ordinary hand grinder and take zero precautions regarding the particles they’re making airborne, this is actually quite dangerous. 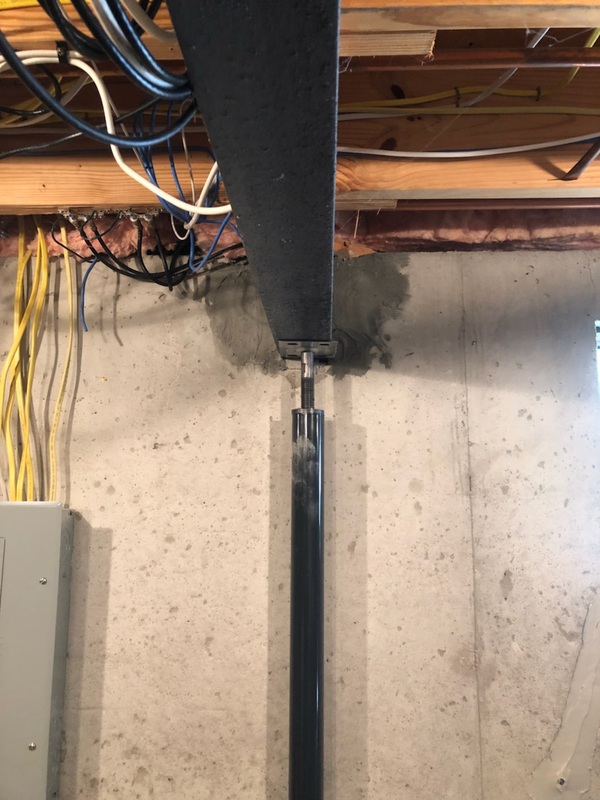 At Adams, we utilize a diamond grinder with a HEPA filtered vacuum to ensure none of those tiny particles—which may be carcinogens—are becoming airborne in your basement. But we’ve heard horror stories from other companies grinding lead-based paint with absolutely no precautions. This is putting their workers and your family at risk—and they certainly are not being OSHA compliant by doing the work this way. 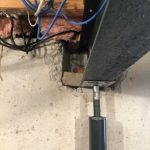 Despite the fact that we perform foundation repair the “right way,” and take all necessary precautions (which is extra legwork on our behalf), we have found that our prices are still on par with our competition. Of course, you’re getting a lot more value—and peace of mind with our work. The cost of carbon fiber repair is also around the same cost as poly injection crack repair, which is a solution for waterproofing. Should you require both services and you have multiple cracks, we charge per linear foot in order to ensure it’s still an affordable solution. We’re not out to price gouge as some companies will do when they know their services are badly needed. We truly have our customers’ best interest at heart. That’s also why our rates come with a lifetime transferable warranty so that you can feel confident that your foundation repair investment will last a lifetime. Foundation cracks can be an unwanted stress in your life. But we’re here to make the repair process as simple and straightforward as possible. You deserve to understand what you’re getting for your investment and to choose a solution that really works—without putting your family at risk because a job was performed without proper precaution. By choosing to work with a company that goes above and beyond, you can ensure that your foundation repair work will be done right the first time, with safety in mind, so that you can feel confident about your wise choice in service providers.